I do this thing sometimes. It's this totally useless, wasteful thing that just drives me mental. And it's not biting my nails or binning day-old milk (because that would just be silly - it's still good). Sometimes when I do something in my life, I look back on it and think about how I could have done it differently and why I made the decisions I made. It's really not productive. It's called look-backing. It makes no sense, just like the name I've given it. I need to stop looking back and just keep moving forward because that's really the only way to go, unless the next iPhone6 comes with a built-in time machine. I wouldn't put it past them. Looking back on life is a beautiful thing if it involves browsing photographs, laughing at Dad's old flashy & frilly baby blue bell-bottom suits (yes he wore them) and sharing memories of how Nonna nearly burnt the house down 1046773 times. An open gas flame on the stove top is not a good place to put down the wooden spoon Nonna! But it's just destructive if it involves heaps of criticism, right? So I'm going to look forward from now on and only look back for a good laugh or a big smile. 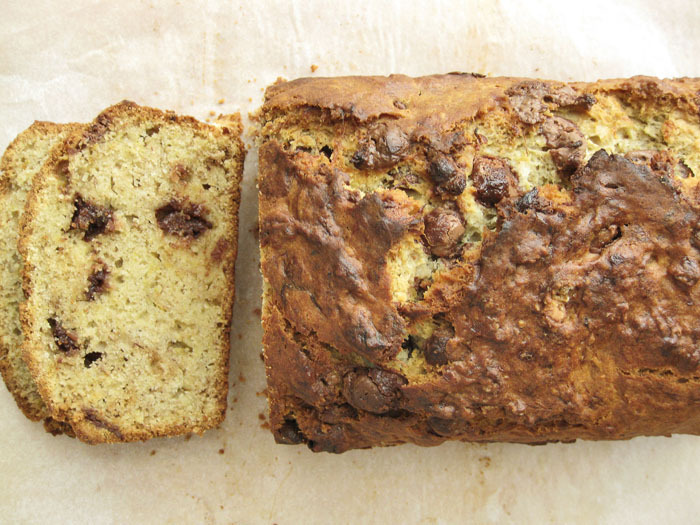 I'm definitely looking forward to this Brown Butter Banana Bread, because umm... it's made with brown butter. Any questions? 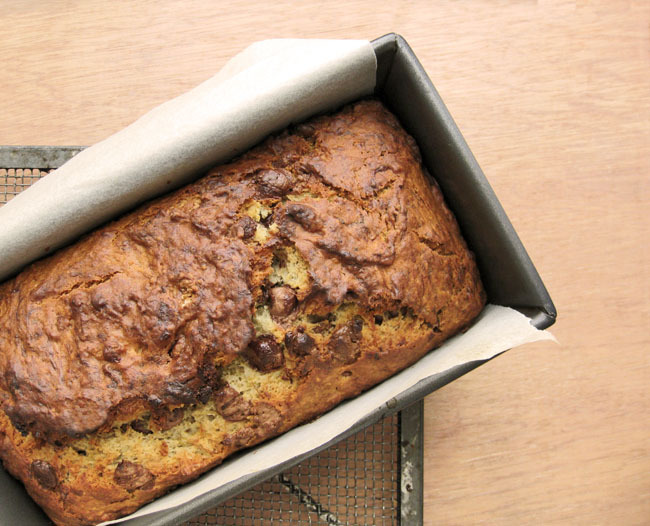 Brown butter adds a whole new dimension of flavour to this otherwise ordinary banana bread and it is so simple to make. This recipe doesn't require much prioritization - just a few simple pantry ingredients and a few short steps. I know you're busy and you don't have time for petit fours and five layer cakes. So this quick loaf of comfort is for YOU. And now back to browning butter - if you've never done it before, this is a perfect excuse to give it a go. It involves cooking butter until it turns a golden amber colour with little browned bits throughout. This brown colour indicates major flavour as a result of a really delicious reaction called the "Maillard Reaction", otherwise known as Maillard Browning. When you heat butter, the emulsion breaks and the liquid portion separates. The very small proportion of milk proteins and milk sugars in the liquid portion begin to react with each other. The result of this reaction is a brown colour and lots of nutty and caramel-like flavour compounds. The most crucial part of making brown butter is trying carefully not to make burnt butter! Those gorgeous little browned milk solid bits, which carry loads of flavour, can burn very easily. So, be patient, be calm and keep the flame low. Allow the butter to speak to you as it crackles and bubbles away. When it is nearly ready, a foam will form at the surface as the bubbles will get smaller as it slowly subsides. Give it a stir once in a while to ensure even heat distribution. Then, to prevent carry-over-cooking, immediately transfer the hot butter to a cool bowl. With this pile of knowledge under your skirt, you are so ready to make this your breakfast. Preheat your oven to 325 degrees F. Line a 8x4-inch loaf pan with parchment paper letting it hang over the long sides. First brown the butter by cooking it over medium-low heat while stirring frequently until it is fragrant and golden brown with little brown bits throughout. Pour it out into a clean bowl and set aside to cool until just warm. In a medium mixing bowl, mash up the bananas with a fork. Add the cooled brown butter, egg, sugar and lemon juice and whisk until blended. Hold a sieve over the bowl and sift over the flour, baking soda, salt and cinnamon. Fold the dry ingredients in gently until just barely combined. Add the chocolate chips and fold them in. Do not over-mix. Pour batter into pan and bake until a skewer inserted into the center comes out clean, about 45-55 minutes. Transfer pan to a wire rack to cool before slicing. Serve with more brown butter if you dare. Ahhh! Why did i never think to put parchment paper in my bread tin?? This recipe looks gorgeous. 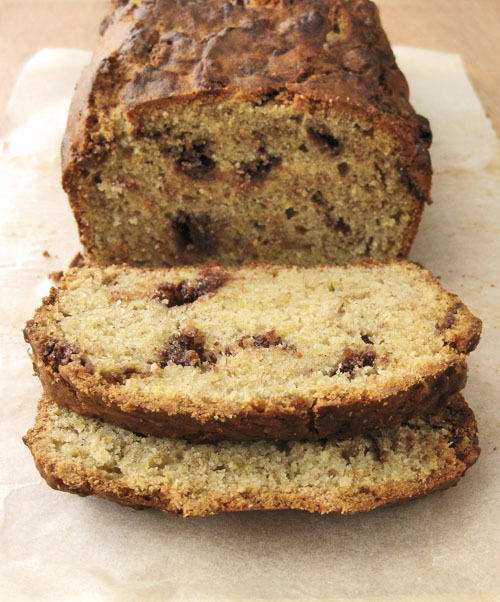 Brown butter banana bread sounds absolutely delicious! I totally understand the look-backing thing too, I waste way too much of my time doing it, but it is a very hard habit to break! Understand undoubtedly that that's a important point. Second, you will need to research and comply with the laws as well as building codes required in the installation of the panel. However, these roller shades are fire retardant and are awesome options for apartments, condos, offices, and other business establishments like bakeries, banks, etc. Just made it in my multi opening baking pan. Made 9 mini loaves, baked 25 minutes. They look beautiful. I tasted the batter. The browned butter mellows the flavor. Should be great!